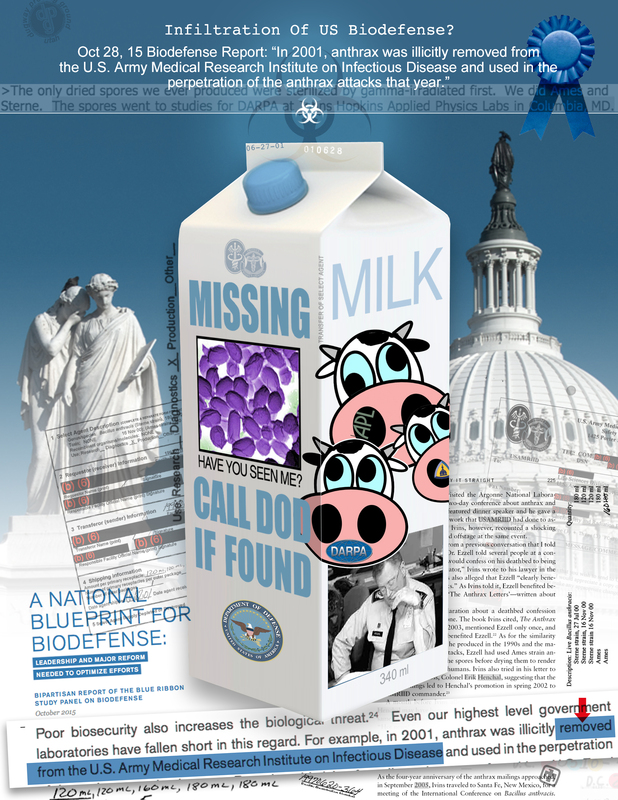 2015 October « CASE CLOSED … what really happened in the 2001 anthrax attacks? * In addition to the 340 ml. 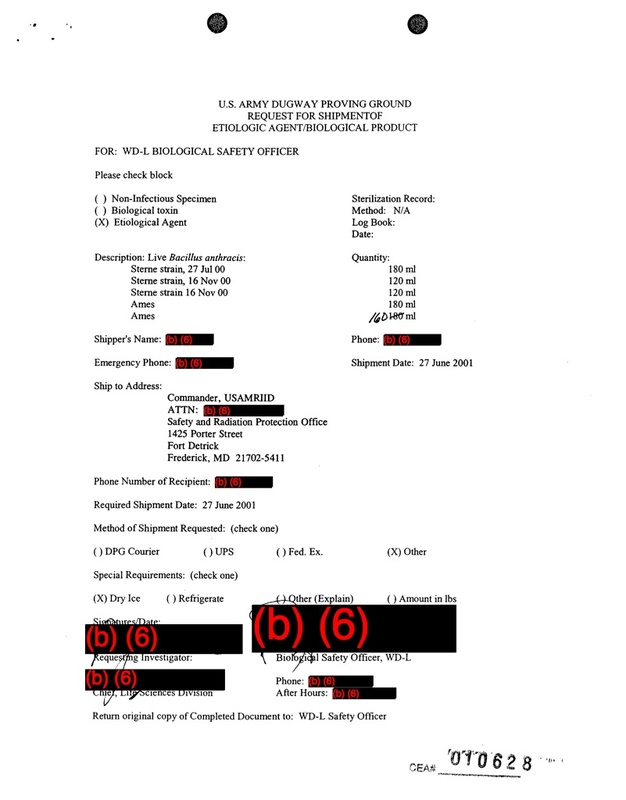 of virulent Ames shipped to USAMRIID on June 27, 2001, Dugway shipped 175 ml. of Ames anthrax strain in late August 2000. 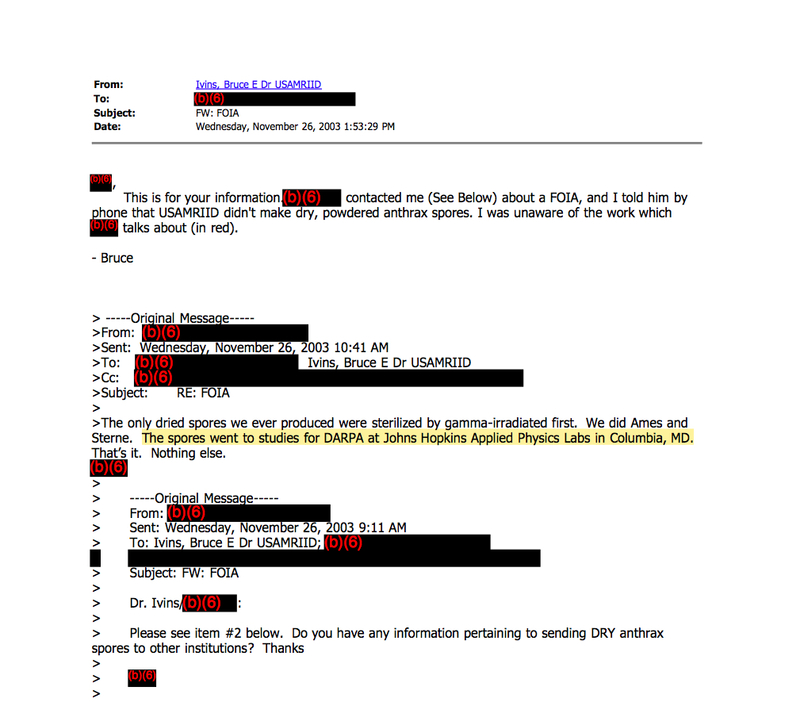 That was when Dr. Ezzell, the FBI’s scientist at USAMRIID, made a dried powder out of Ames anthrax strain from Ivins’ Flask 1029 for the DARPA JHU-APL mass spec. project. 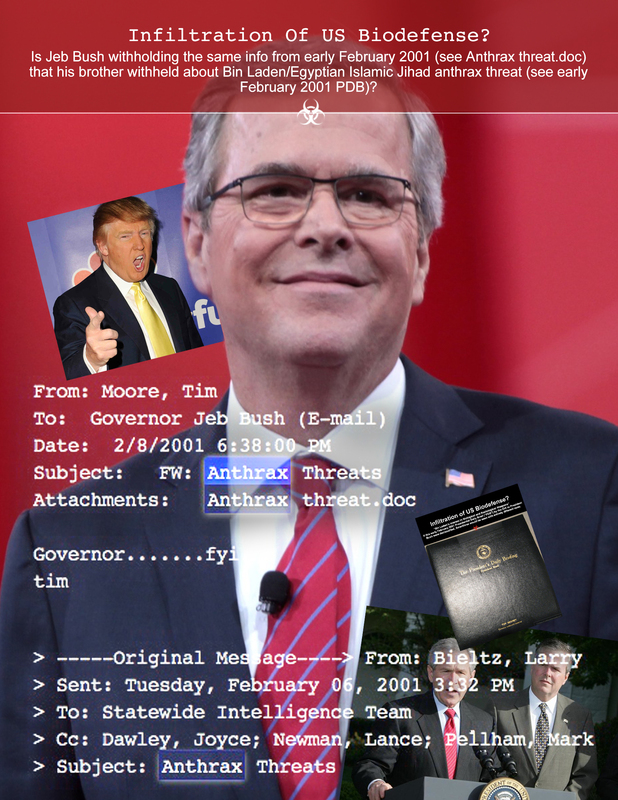 * Is Jeb Bush withholding the same info from early February 2001 (see Anthrax threat.doc) that his brother withheld about Bin Laden/Egyptian Islamic Jihad anthrax threat (see early February 2001 PDB)? 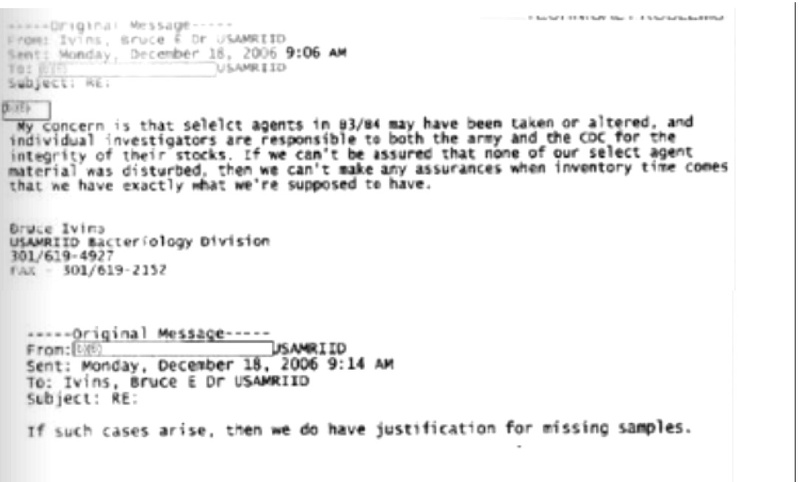 The threat to use mailed anthrax was described to President Bush by the CIA in a PDB in early February 2001 that is still classified. 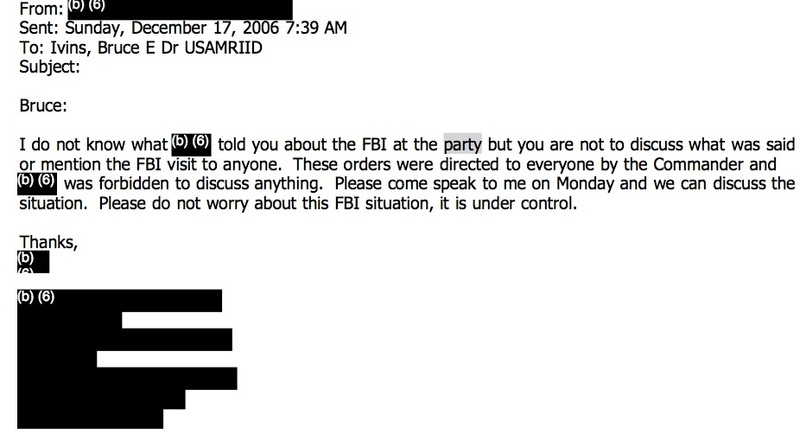 See 911 Commission Report. In January 2001, a bail hearing was announced for the Egyptian Islamic Jihad/Vanguards of Conquest #2. 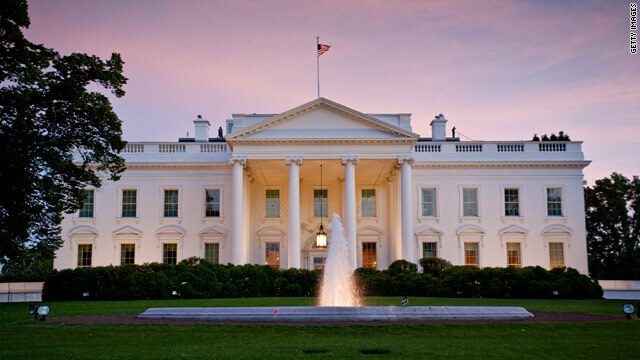 A threat to use anthrax was immediately sent to those responsible for the detention and threatened deportation to Cairo. Bail was denied on October 5 and then the mailer rushed to mail the good stuff. The lawyer for the EIJ spiritual guide had announced in 1999 that Zawahiri intended to use anthrax to retaliate for the rendering and detention of senior EIJ leaders — and the plan was confirmed by the detained EIJ military leader (and another shura leader who was working for Egyptian intelligence services). The late January threat was sent by the same people who sent letter bombs to the people symbolically responsible for the WTC 1993 plotters. 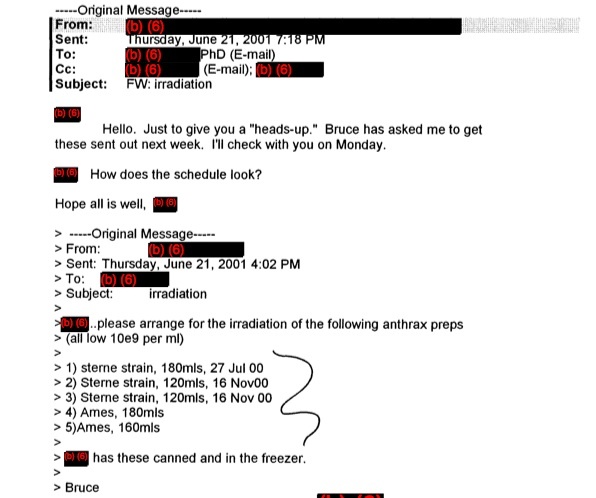 It was embarrassing to the Bush Administration because not only were they given express warning, but it is the former assistant of then White House Chief of Staff who the FBI suspects of accessing the biochemistry information relating to the concentration of anthrax using silica. See filing of defendant’s defense counsel. 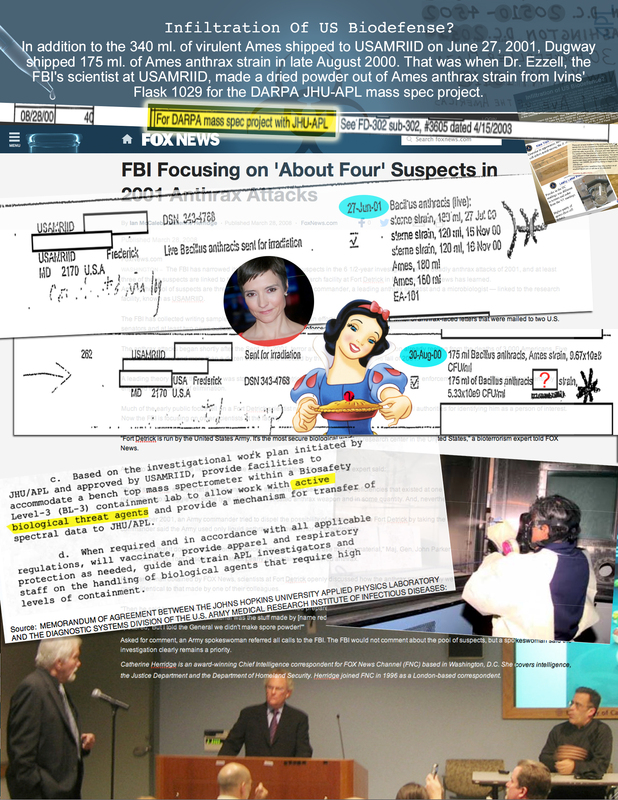 The factual question of the day relates to the culture medium used by Ivins, and why the FBI did not allege that the recipe of the culture medium he used in the lab supported the searches they did.